MEMBER NEWS - SER Member Gontran de Quillacq has authored two recent articles on the subject of gamma trading strategies, which are available through SER's Member Library. The two articles are serial in nature, the first entitled "Gamma Scalping 101 - Gamma/Theta Trading" and the second follows, as "Gamma Scalping 102 - The Undisclosed Risks." The first article describes the concepts of gamma and theta and the ways in which gamma-scalpers benefit the market and how their trading strategies operate. Risks involved in gamma-theta trading concern the second piece, after which the article concludes with some recommendations for those who trade in this area of the market. About his subject, Gontran warns: "Gamma scalping is more complicated than it looks ..." and it involves "significant risks." 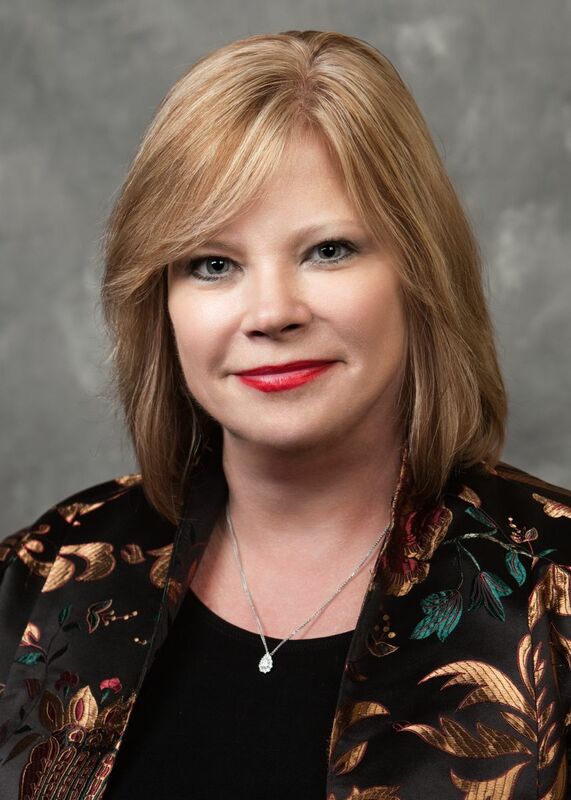 ROUNDTABLE NEWS - Around now for about a quarter of a century, the Securities Experts Roundtable decided a quarterly newsletter for members would be just the thing. The brainchild of SER's Public Relations Committee, the e-newsletter began publication just this month, with six columns, each written by SER Members and each working from a different perspective to bring news and views to our testifying experts. 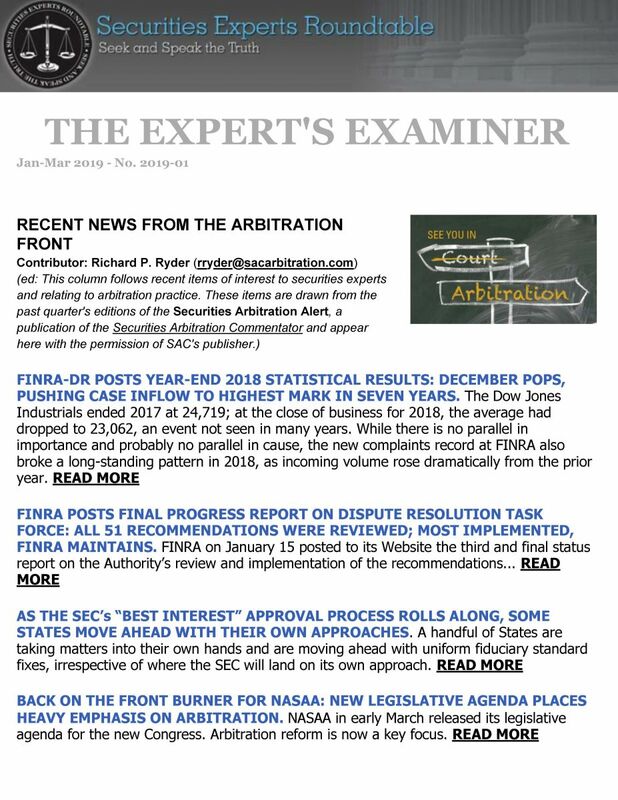 Dubbed the "The Expert's Examiner," the quarterly publication seeks to keep members apprised of developments in securities arbitration, the expert's role in the courts, individual member achievements, SER committee work, member resources, and a "current events/issues" column. Past editions of The Examiner will be archived in SER's Library. Pdf version available here. CONFERENCE NEWS - SER opens registration for its 27th annual member meeting and conference. 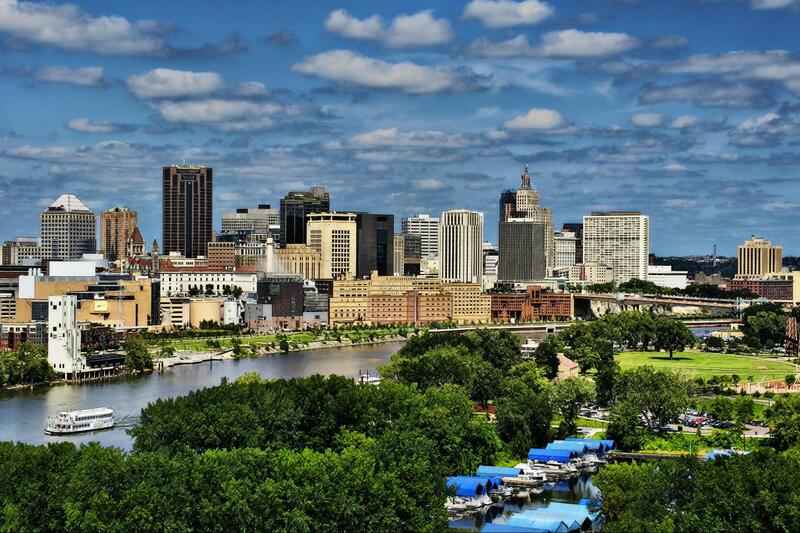 Convening on August 2nd-3rd, this year's venue is the Saint Paul Hotel in Saint Paul, Minnesota. Held over two days, the conference provides in-depth presentations and discussions related to experts' experiences in securities litigation/arbitration, as well as collegial knowledge-building and networking opportunities. In addition to member panels, outside speakers currently scheduled include: Rick Berry, Executive Vice President & Director of Dispute Resolution at FINRA; Tony Chereso, President & CEO of the Institute of Portfolio Alternatives, and former Director and one of SER’s original incorporators, Michael Weiner, author of “In My Expert Opinion." Please visit our Upcoming Conference page for more detailed information and to register. OUTSIDE NEWS - The C&L Society held its 2019 Annual Conference on March 24-27 and many SER members were in attendance — their numbers lost, of course, among the massive roster of over 1,900 attendees. Not much in the way of press coverage comes out of the Conference sessions, so we looked to the Blog posts for some reactions from the meetings. This one, written by Alan Wolper, Partner-in-Charge of the Ulmer law firm’s Chicago Office and Co-Chair of its Financial Services & Securities Litigation section, appeared on both the Ulmer Website and Mr. Wolper’s BD Law Corner Blog. It focuses on a SIFMA-CL Conference session in which FINRA’s Chief Legal Officer, Robert Colby, participated and remarks of his that evidently rattled many of those present. In commenting on these remarks, Mr. Wolper targets what he sees as a recurrent theme at FINRA: “... an increasingly visible effort by FINRA to turn its regulatory eye from rogue brokers – who have been an irritant to FINRA and NASD for decades – to rogue firms (my term, not FINRA’s).” His article is particularly interesting, as it’s enhanced by accompanying video from the panel discussion containing Mr. Colby's remarks. 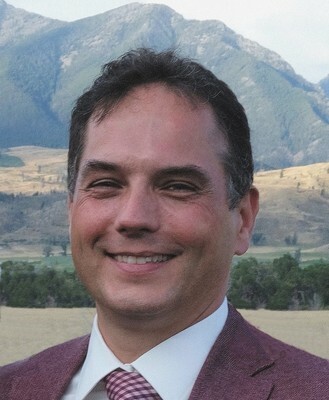 MEMBER HIGHLIGHT - Paul Carroll, an SER Director and Principal of Sententia LLC, recently penned an article, titled “Customer Portfolio Margin — Know Before You Go.” The article provides a primer on Reg T and maintenance margin under FINRA Rule 4210 and explains the origins and needs for a risk-based margin calculation — now known as CPM. 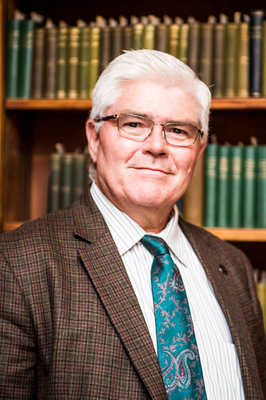 Asked what prompted him to write the article, Paul said: “I’ve heard over the years from industry margin practitioners, attorneys and experts feeling that the existing papers on CPM did not contain a perspective or contrast between the two versions of margin [Reg-T vs. CPM]. The consensus seemed to be that CPM was overly sophisticated and much riskier. In my opinion, it is neither, and it’s on that point that I focus this article." Paul has contributed a copy of the new article to the SER Library for the benefit of current and future members. Newsroom visitors may also access a copy of the article by following this link.